I don’t know what you are experiencing right now – you may be in your happy times, or you could be down due to a problem you are currently experiencing, I’m not sure. Before I end this post, I want to inform you that whatever you might be going through right now, always remember that it can just be a part of building your life: a process you need to go through in order to be better. The season you may be in right now, may not be as pleasurable as you want it to be, but remember that to everything that we do – there’s always a SEASON…And God makes everything beautiful in His own special time! 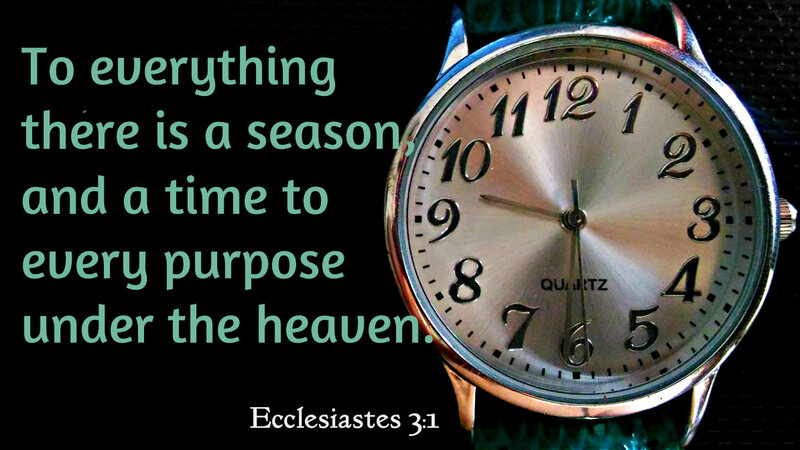 This is my favorite chapter in Ecclesiastes, yes there is time for everything, season for everything and purpose or reason why it is happening. We just need to have faith in Him. Thank you for this. A positive post is timely in todays time where all we see is so much killings and hatred. True that, sis! One of my fave verses too! Moms love multi-tasking but there are times that we feel exhausted too. What works for me is writing my things to do, icross-out ko siya yung tapos na. Unahin ko lang yung urgent but if not, it can wait. I agree sis. Everything has its own time like God will never give us anything we can't handle. We just have to believe and have faith in Him. Everything will fall in its own place, and everything will be resolved in time. I'm trying to do that too, sis! Kasi ang hirap talaga nya pagsabayin! haha.